As a practice, we aim to provide a good and accessible service for patients. Following a review of the GP triage system, increasing demand and patient safety issues, we introduced a new appointment system with effect from Wednesday the 8th July 2015. This new system, which was discussed with our Patient Reference Group, will provide significantly more appointments per week. DOCTORS will no longer be doing TELEPHONE TRIAGE call backs. We would appreciate your co-operation in using this new system appropriately. We have increased the number of same day appointments every morning from 8:30am. You can book these same day appointments at the reception desk or by telephone, phone lines are open from 8:00am each day. If you need to see a Doctor on the same day, please contact the surgery early and use the SAME DAY CLINIC. The surgery is open from 7:30am on Mondays and Tuesdays and from 8:30am on Wednesdays, Thursdays and Fridays. We expect to see same day urgent appointments in the mornings. Please help us by contacting the surgery early in the morning when we have more appointments available. We can arrange urgent investigations like blood tests on the same mornings but not in the afternoons as we do not have a blood sample collection service in the afternoon. There are only a very limited number of URGENT appointments in the afternoon. These are reserved for patients who become ill in the afternoon and cannot wait until the next morning. For URGENT appointments, the Doctor will only have time to deal with the ONE urgent problem. If you miss your appointment, you will NOT be offered another appointment on the same day. 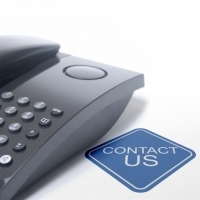 If you think your urgent problem can be sorted over the telephone, you can request an URGENT telephone consultation. This is NOT for getting results of investigations or non-urgent queries. Home visits are for elderly and genuinely housebound patients only. If you think you need a home visit, please ring before 12 pm and a Doctor will call you back. Pharmacists – Your local chemist can provide advice and access to medications for many minor illnesses. Urgent Care Centre (Community Site) – in the Saddlers Centre, (Access via Bridgeman Street only) which is open from 8am - 8pm every day, including Saturday and Sunday. Urgent Care Centre (Hospital Site) on “route 238” at the Manor Hospital, which is open from 7:00am to midnight, every day. NHS 111 Service - When the surgery is closed, please ring 111 for advice. Please note: We do not have an unlimited number of appointments and we ask that you use our services appropriately. Thank you for your co-operation. The surgery doors are open from 8:30am to 6:30pm - Monday to Friday for GP, Nurse and other health care service appointments. Note, routine appointments can be booked up to four weeks in advance. Please Note: ALL calls will be answered automatically, you will hear a short message, before your call is put in a queue to be answered by a receptionist. Telephone Enquiries - Monday to Friday 8.00am to 6.30pm - To use our services effectively please see TELEPHONE ADVICE / ACCESS section - this guidance should help you to access the surgery by telephone at the best times. Although you are free to see any of the doctors in the practice we believe that patients benefit from being seen by their usual doctor, whenever possible, to ensure continuity of care. If you want to speak with a doctor over the telephone please tell the receptionist, they will make arrangements for you to speak with a Doctor. This may mean a Doctor will return your call. Please note patients arriving late for their appointment by 10 minutes or more will be asked to make a new appointment on another day. Appointments can be cancelled by visiting the surgery, telephoning the surgery (01922 612714) or "online" by using the Book or Cancel Appointment icon above or on the home page of this website. Appointments cancelled with less than 24 hours notice will be recorded as a non-attendance if we cannot fill the cancelled appointment. If you need to speak to a Doctor or Practice Nurse, please request a telephone consultation. In some cases it may be more appropriate than a normal appointment. If the Doctor is not available to speak to you when you call, we have allocated a number of telephone consultations for each doctor, which means the doctor will call you back within a pre-arranged time scale to speak to you. Please give your contact details (telephone landline or mobile number) to reception staff so we can ensure Doctors are able to return your call. In addition, we will also be taking further actions during the coming months to significantly improve telephone access for our patients. Please think about exactly what you want before making the call and try to be as concise as possible. If you require a planned / routine appointment, (i.e. in 3 or more days time) try ringing the surgery after 3:00pm or book "Online". If you require a routine appointment within 48 hours try ringing between 1:00pm and 3:pm. Please note: if we do not have appointments available you will be offered the chance to speak with the duty doctor, the doctor will arrange with you an appropriate appointment. Cancel your appointment "Online" - this would make more appointments available (8% to 10% of doctor appointments are wasted each month because patients do not attend their appointment). Remember your appointment time, this avoids the need to make a telephone call to check the time. Please avoid, where possible, ordering repeat prescriptions via telephone on Monday and Friday mornings. Order your repeat prescription by post or fax, using our paper based order form, or "Online". Home visits should only be requested when you are too ill to physically attend the surgery (This does not include those who have no transport of their own or do not wish to leave a pet alone in the house). Please attend the surgery for a consultation whenever possible. Should a visit be necessary please ring the surgery before 11.30am as this helps the doctors to plan their rounds, only urgent requests should be made after this time. Ill children will always be seen by arrangement if brought to the surgery, (this is usually quicker than a visit). If you move house please let us know immediately. A changed address can cause a delay on a home visit. Please remember that several patients can be seen in the practice in the time that it takes to make one home visit. There are also better facilities for examining and treating patients her at the Surgery. As part of our aim to improve patient access to appointments here at St. Peter’s Surgery we have recently undertaken an audit of patients who fail to attend appointments without having cancelled them. The audit highlighted the fact that a small number of patients are wasting a significant number of appointments. In fact, during a six month period to the 31.12.2017, 158 patients failed to attend for at least 3 or more appointments wasting a total of 602 appointments. Overall 9% of appointments were wasted by patients failing to attend appointment without cancelling them. This behaviour effectively reduces the number of appointments available for other patients and is a waste of valuable NHS resources. We have a responsibility to ensure that NHS funding and our appointments are used appropriately and are therefore introducing a system to identify patients who frequently fail to attend their appointments. We will be writing to those patients to explain the implications of this behaviour. 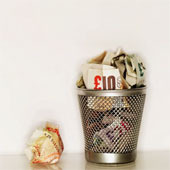 Patients who continue to waste appointments will be removed from the list. 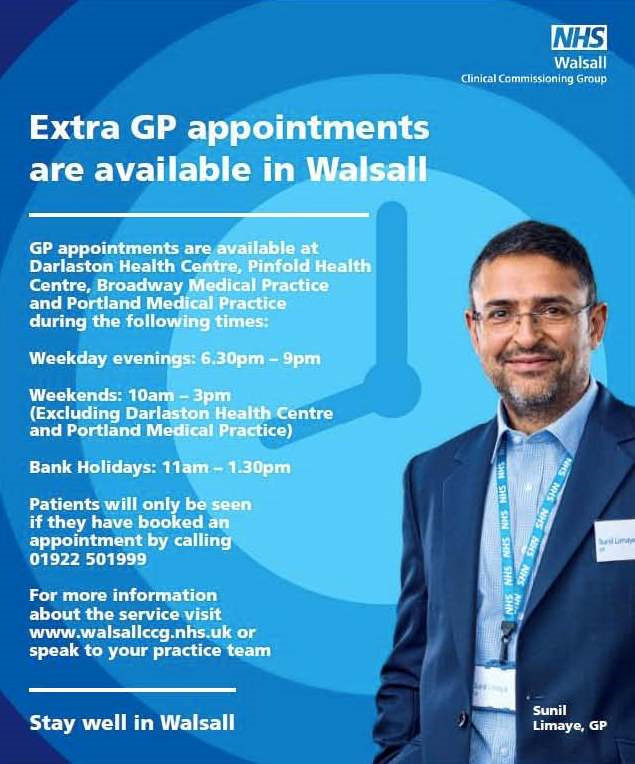 Extra GP Appointments Available for Walsall Patients. Patients registered with a Walsall GP can benefit from the Extended GP Access Service. NHS Walsall Clinical Commissioning Group (CCG) has worked with local GPs to create four “Hubs” based at Darlaston Health Centre, Pinfold Health Centre, Broadway Medical Practice and Portland Medical Practice. The “Hubs” are currently run by a group of local GPs. Do I need to be registered at one of the three “Hub” surgeries to use the service? No, you can be registered with any GP in Walsall to access the extra appointments. Please note you will need to travel to one the four “Hubs” (listed above). When should I use the “Hubs”? The extra appointments are for patients who require a routine or same day GP appointment but are unable to attend during normal opening hours. However, they are not walk-in centres andyou will need to book an appointment - these can be booked up to 7 days in advance. Please note that both of Walsall’s urgent care centres and its A&E department will still be open as normal for people to use in serious or life threatening emergencies.